Storage — one of the single most importnat things in the world of internet savvy consumers. From hard drive back ups to USB keys and even the cloud — it’s hard to have enough room to save all those pictures and information. 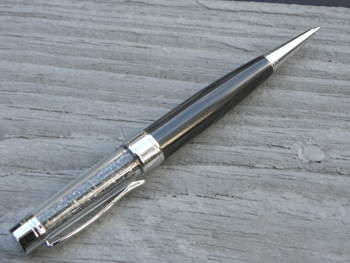 I have a few trinkets sitting on my desk at all times, though, that help me do just that — store and save — but in style! 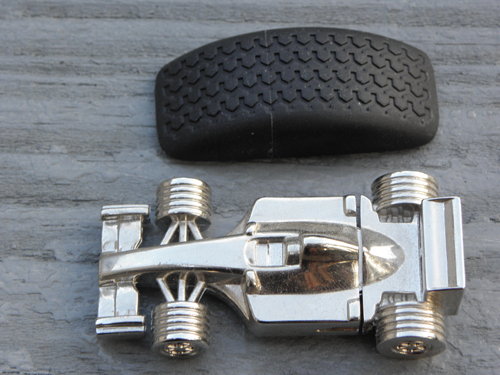 Being a car lover — (well, of course, and also a watch lover) — my favorites come from TAG Heuer in the shape of a nice heavy-weight stainless steel Formula 1 car, and from Chopard, in the shape of a cool rubber tire tread (ok, well half a tire). 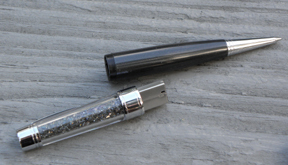 Finally, a superb sparkly pen that writes like a dream from Swarovski. 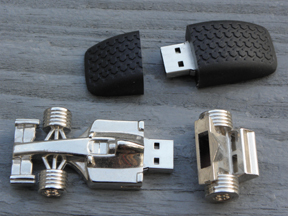 I’ve gotten a heart-shaped usb once and a key shaped one but nothing like these … Where do they buy those?